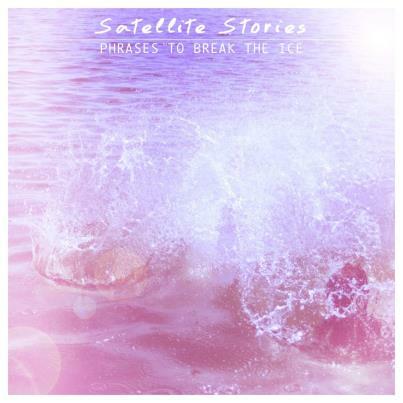 Due to hit shelves on September 21st 2012 is the long awaited debut album by Finish indie-pop sensation Satellite Stories released via xyzberlin. I could already safely say long before listening that Phrases To Break The Ice was going to be something special and it far from disappointed. With an already warmly received promo EP and debut Scandinavian EP released in Japan the band were well on their way to creating a profound buzz and hype around themselves. Now I won't make the obvious comparison to a similar styled group because I like bands to flourish in their own light and not someone else's so with that said it's safe to say the Finish four piece have rapidly become well established in creating their own unique mould within the Indie music scene. I do feel obliged to warn you though, this album is undeniably catchy so you may very well be at risk of annoying all of your non music loving friends by humming their tunes long after taking the album for a spin. Never have I heard a record that sticks in your head as much as Phrases To Break The Ice. Its infectious allurement nature leaves you begging and crying out for more! Setting the tone early, Anti-lover, with its vibrant bursts of energetic charisma, demonstrate the bands beautiful way of building intensity in a sublte way. Before you know it you're engrossed in its heavy percussion, lost in a sea of endorphhins. And there's no letting up before you're hurtled in to Kids aren't safe in the metro. Firey with an added touch of smoothness that demands you to get up and dance. The bands ability to create such unforgettable catchy hooks is second to none. The pace seems to slow on Mexico, my favourite from the album. But this of course is just a tease. Before you know it the tempo picks up and one of the most memorable guitar lines bursts in to create a wholesome experience. I can't help but smile from ear to ear. Now, Helsinki Art Scene was the first song I heard by Satellite Stories so it will always hold that special place in my heart. Its angular riffs and jangly guitars echo throughout. Already released on the bands promo EP it's done the rounds on the blogosphere since 2010 yet still remains as fresh today as it did then and sits perfectly amongst the other tracks on the record. Gracing the midway point is the ever so uplifting Costa Del Sol '94. Longer drawn out guitars lay the base for Esa's vibrant vocals to do their magic. A glistening sugar rush and forever explosive. This time the pace really does slow for Mt. Foreverest, though welcomed with open arms giving you the chance to recuperate after dancing around like a madman. The lyrics are heartfelt and feel like a poem. A letter to a long lost sole reminiscing of better days. Its stripped back appeal shows the band in a more more vulnerable light, something many choose to shy away from. The groups self confessed desire for creating party anthems really shines through not just with Blame the fireworks but all 10 tracks off the album. Sirens is another clear example displaying how effortlessly the band can create their concoction of harmonious summer drenched anthems. I challenge anyone not wanting to dance to this. The penultimate track is another song I heard last year. Instantly, I knew I had discovered something of great value. Never ones for static the band formulate Family's structure in to an evolving ever changing monster of a track. Laden once again with killer hooks and jittery bass lines it's definitely not one for the fainthearted. There's no holding back, this song knows how to groove. The album is rounded up nicely with Come Back Conversation. A super tight, lovable charmer full of beautifully layered guitars complimenting each other strategically as they twist and intertwine. A perfect end to a perfect album. If you're a fan of upbeat energetic Indie-Pop then this record is totally for you. Leave your summer woes behind and ease yourself in to Autumn with Satellite Stories' sunshine vibes. Undeniably my favourite album of the year so far! 9.8/10.